Hey kids, it’s that time again! We’re kicking off the year right with an action-packed edition of the Engadget Show. The first episode of 2012 is going to be a doozy. We’re going to take you through the coolest gadgets of CES and Apple’s bid to transform the textbook industry. We’ll also be taking a close up look at the latest camera from Red and the new MakerBot Replicator. Plus we’ve music from Brooklyn’s Ducky and all kinds of surprises. We’ll be live tonight at 6PM ET, and you can join us at this very URL — so keep your browser locked to this spot. The Engadget Show is live, here at 6:00PM ET! originally appeared on Engadget on Fri, 20 Jan 2012 17:30:00 EDT. Please see our terms for use of feeds. Listen to the Engadget Mobile Podcast, live at 5:15PM ET! We’ve recovered from the grueling week of CES… sort of. As you probably already know, technology doesn’t seem to take time off after the big show, and neither do we. Plenty of news has been making the rounds since our star-studded vidcast last week (and by star-studded, we mean Sean Cooper and some nifty handsets, at the same time), so Myriam Joire and Brad Molen are taking to the mics to discuss it, rant about it and — in some rare cases — praise it. So tune in live to join in the online chat and listen to some grade-A mobile talk. Continue reading Listen to the Engadget Mobile Podcast, live at 5:15PM ET! Listen to the Engadget Mobile Podcast, live at 5:15PM ET! originally appeared on Engadget on Fri, 20 Jan 2012 17:11:00 EDT. Please see our terms for use of feeds. Back in April, Ericsson and ZTE filed patent infringement lawsuits against each other, with each party claiming that its 4G / WCDMA / GSM technology had been illegally appropriated. Today, though, the two have apparently decided to bury the hatchet, and withdraw their lawsuits. In a statement issued yesterday, ZTE said the two firms arrived at the decision after “extensive discussion and consultation,” adding that the move will bring an end to “the patent infringement lawsuits filed by Ericsson against ZTE in the U.K., Germany and Italy, as well as the patent infringement lawsuit filed by ZTE against Ericsson.” The company went on to deny earlier reports that it was forced to pay €500 million (about $647 million) to Ericsson, though Ericsson has yet to offer any comment on the matter. 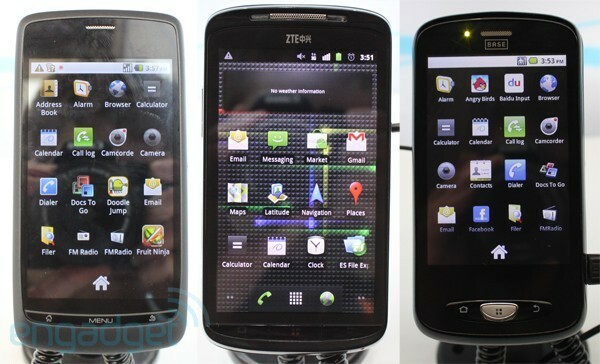 Ericsson, ZTE shake hands, drop patent infringement lawsuits originally appeared on Engadget on Fri, 20 Jan 2012 17:09:00 EDT. Please see our terms for use of feeds. This entry was posted on January 20, 2012, 5:39 pm and is filed under Mobility. You can follow any responses to this entry through RSS 2.0. Both comments and pings are currently closed.